Our graphite products are designed for demanding applications of higher temperature. Manufactured from high purity exfoliated graphite in a variety of forms and available with or without metallic reinforcement. PG-T is a high quality graphite laminate material in which exfoliated graphite is mechanically bonded to a 316 stainless steel tanged insert. A material with excellent mechanical strength, a wide temperature range and outstanding stress retention properties making it ideal for demanding applications. It is capable of sealing a wide range of fluids including steam, hydrocarbons and most chemicals. 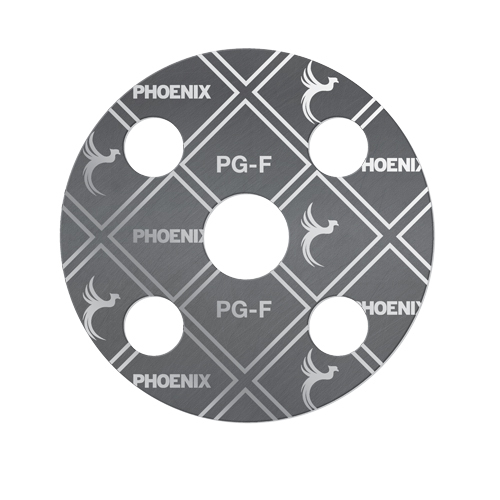 PG-F is a high quality graphite laminate material in which exfoliated graphite is bonded to a 316 stainless steel foil insert. The material has a wide temperature range, excellent chemical resistance and good stress retention properties making it ideal for many demanding applications. 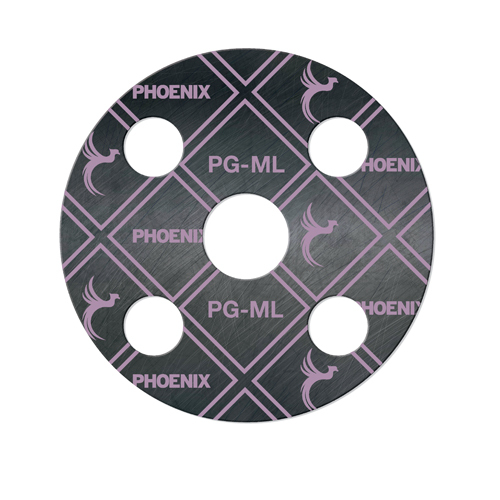 It is relatively easy to cut and so is good alternative to PG-T in sheet form if cutting on site is required. PG-P is a high quality exfoliated graphite material but supplied plain, without metallic reinforcement. A highly compressible material with excellent stress retention properties. Its wide temperature range makes it ideal for applications in the petrochemical industry and as a filler or facing for metallic gaskets e.g. Kammprofiles. It is easy to cut and is available in either sheet form or as rolls and can be slit into any width. PG-ML is a multi-layer material in which thin layers of exfoliated graphite are mechanically bonded to a 316 stainless steel foils. A material with excellent mechanical strength that can be used to seal high internal pressures. Its ability to resist high loads makes it ideal for tongue and groove and heat exchanger flanges or in hazardous applications where resistance to blow out is paramount. High quality flexible graphite foil with a purity of 98%. Ideal for general purpose applications from cryogenic to 450°C. High purity flexible graphite foil with a purity of 99%. 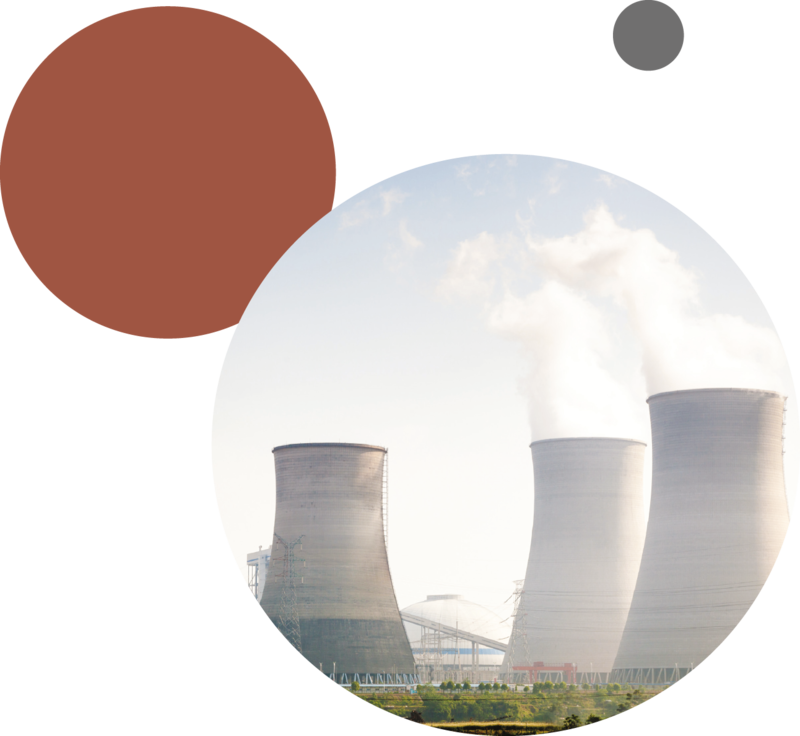 Ideal as a seal within nuclear power plants and other critical applications. High purity flexible graphite foil (ash content of < 0.15%) treated with a corrosion inhibitor, for critical applications in nuclear power plants and oil and gas facilities.